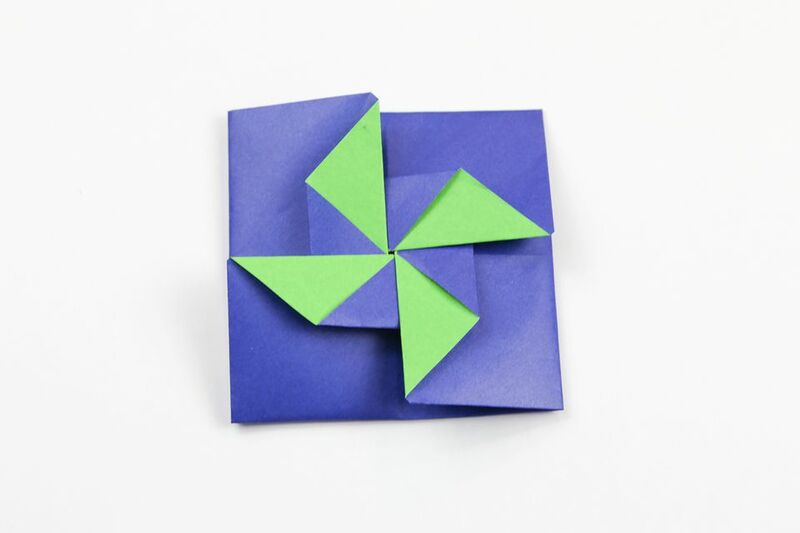 Learn how to make a simple origami 'Tato' envelope with these easy to follow step by step instructions. These origami envelopes are traditionally used to give money. These pretty origami Tatos or envelopes make a great alternative to store-bought cards and envelopes and you can even include a small gift inside too. You can also stick the flaps down, cover in PVA glue and use them as pretty placemats or hanging decorations. If you would like some other origami envelopes, check out the origami letter fold, easy envelope and a more stylish one here. For this envelope you will need one sheet of square paper, you don't need to use special origami paper, although it's nicer. It also helps if your paper has a different color or pattern on each side so that the design shows. 3. Fold the bottom corner up, with about ​one-third of the point above the central fold. It doesn't have to be exact.